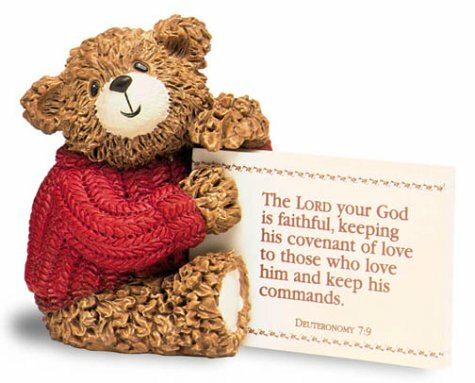 Specially designed by Patricia Matthews and beautifully hand-painted, this delightful bear Scripture Keeper can be displayed almost anywhere-at work or at home, on a mantel shelf, windowsill, or desktop. Choose a verse to display for a day, week, or month. Features forty inspiring Scripture verses printed on both side of twenty cards.